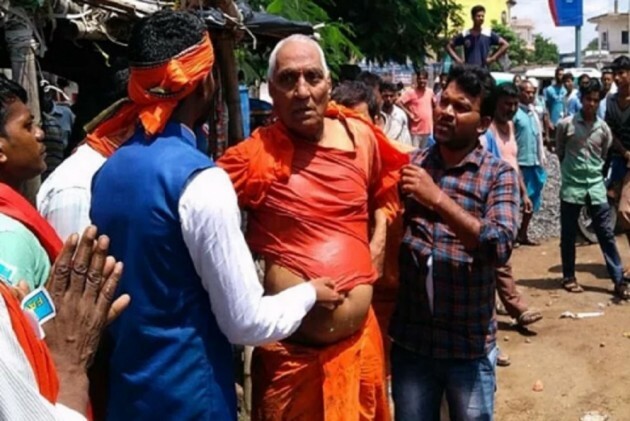 Social activist Swami Agnivesh was punched, kicked and verbally abused by a mob Tuesday outside a hotel in Jharkhand’s Pakur district allegedly by BJP's youth wing Yuva Morcha according to news agency ANI. A day later, a top police officer confirmed that there have been no arrests till now, even though the attack is on camera. "It was a lynch mob. A mob of 100-150 people attacked me. I was pushed and I fell. I was on the ground, my clothes torn...they accused me of supporting gau maas (beef). They raised slogans of Jai Sri Ram. Abused me," Swami Agnivesh told NDTV. Source of information News Report Place of incident Other :he was attacked just after leaving the hotel. Charges Filed Other details 92 unnamed people, the eight persons named in the FIR are: Anand Tiwari, Pintu Mandal, Ashok Kumar (a ward Councillor), Prasanna Mishra (district BJYM Chief), Gopi Dubey, Balram Dubey, Shiv Kumar Saha and Badal Mandal.